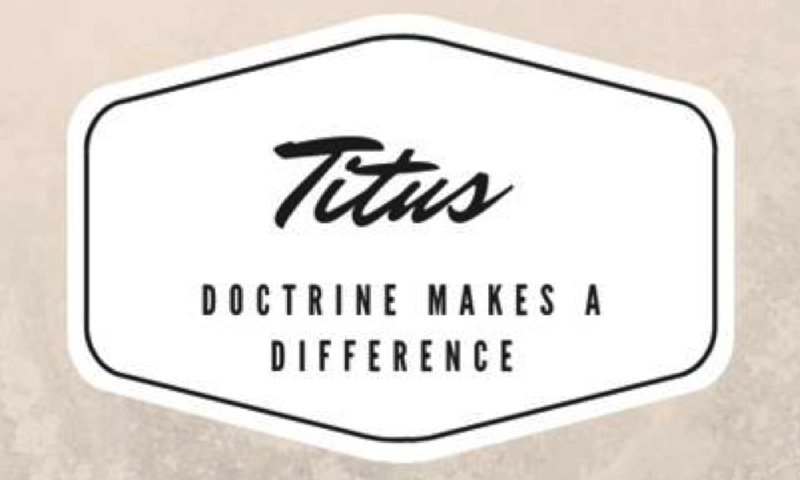 Titus 2:1-8 English Standard Version (ESV) Teach Sound Doctrine 2 But as for you, teach what accords with sound[a] doctrine. 2 Older men are to be sober-minded, dignified, self-controlled, sound in faith, in love, and in steadfastness. 3 Older women likewise are to be reverent in behavior, not slanderers or slaves to much wine. They are to teach what is good, 4 and so train the young women to love their husbands and children, 5 to be self-controlled, pure, working at home, kind, and submissive to their own husbands, that the word of God may not be reviled. 6 Likewise, urge the younger men to be self-controlled. 7 Show yourself in all respects to be a model of good works, and in your teaching show integrity, dignity, 8 and sound speech that cannot be condemned, so that an opponent may be put to shame, having nothing evil to say about us. Footnotes: Titus 2:1 Or healthy; also verses 2, 8 English Standard Version (ESV) The Holy Bible, English Standard Version. ESV® Text Edition: 2016. Copyright © 2001 by Crossway Bibles, a publishing ministry of Good News Publishers.